One of the most common accessories customers purchase for their dogs are collars, in any size shape and color. With studs, rhinestones and many other decorations. But they are small. Sometimes too small for all the information we “need” to have there. Although sometimes a challenge, it can be done. 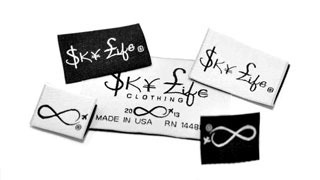 You can have a professional logo label for your business that will be durable and will represent your business in the way you want. We get a lot of requests from designers of pet’s clothing and especially dog collars. Hey we love our pets and we love buying them stuff! Especially when it is beautiful and unique. We are sorry to say that sometimes we need to adapt to what life brings us (Especially if we want to be somewhat practical). To be a little more specific, even with our FREE 8 Thread Colors included in our incredible prices, sometimes our customer’s logos have 12 colors, or have gradients, or just have tiny little detail that won’t even be perceptible at 0.5″ tall! 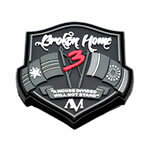 If we can help you stay in business and be profitable: We will! eds, toys etc. 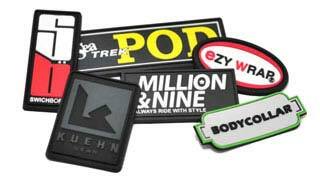 Why not custom your accessory creations with an unforgettable woven label that will identify you the design and where your customers can get those products. 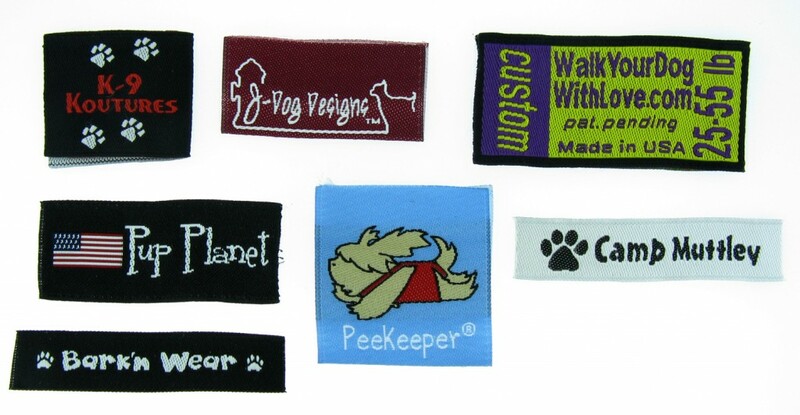 For people who create and sell pet accessories, custom woven labels are the perfect final addition that takes your products from homemade to doggie couture. Unlike printed, woven labels are ideal for pet accessories because they will not fade and have a durability to hold up against the lifestyle of your pets. 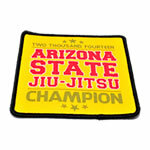 Our examples show the wide variety of pet accessories and ideas out there ready to be recognized. 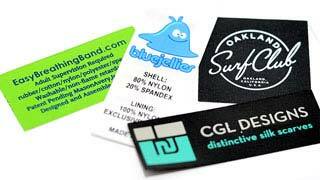 We offer 2 different kinds of woven labels: Taffeta or Damask quality. 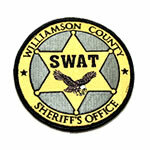 Our taffeta woven labels use 50 Denier thread vs. Damask of 80 Denier thread. Both are excellent options but the Taffeta is slightly less expensive than Damask if you are just starting out and want to display your products with your information attached. 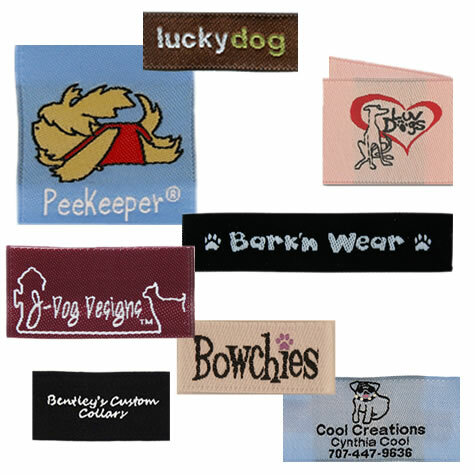 Whatever your pet accessory you have created, adding a custom woven clothing label to your add to your products is the perfect way to give your creations that professional touch that tells your customers to come back every time they need things for their beloved “Fluffy” or “Spot”.